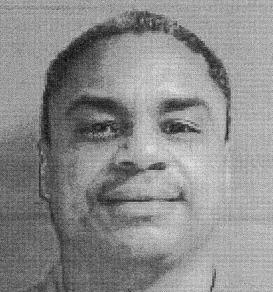 The U.S. Court of Appeals for the 5th Circuit has ruled in favor of Kevan Brumfield, upholding the decision of a Louisiana federal district court that he is intellectually disabled and therefore ineligible for execution. Louisiana's state courts had initially denied Brumfield resources to investigate evidence of his intellectual disability and then dismissed his case without an evidentiary hearing, finding that he had not presented sufficient evidence to justify further review of the issue. A federal district court then granted Brumfield funds to investigate and develop facts supporting his claim, conducted a hearing, and found him to be intellectually disabled. An earlier ruling by the 5th Circuit had reversed the district court's decision on procedural grounds, saying that the district court should have deferred to the Louisiana state courts. It did not address the portion of the lower court's ruling that Brumfield was intellectually disabled. Brumfield's case was then heard by the U.S. Supreme Court, which ruled by a 5-4 vote on June 18, 2015 that the district court had properly granted Brumfield a hearing on his intellectual disability. The Court held that Louisiana had unreasonably determined that Brumfield's evidence was insufficient to warrant an evidentiary hearing and remanded the case back to the 5th Circuit with directions to rule on the district court's determination that Brumfield was intellectually disabled. The circuit court issued its ruling on December 16, 2015, stating: "Both the state and Brumfield present plausible views of the evidence, although, on balance, Brumfield's witnesses were somewhat stronger and presented a slightly more compelling view...Because the State has not demonstrated clear error on the part of the district court, we AFFIRM the ruling of the district court that Brumfield is intellectually disabled and, accordingly, ineligible for execution." The new finding excludes Brumfield from execution under the Supreme Court's 2002 ruling in Atkins v. Virginia, which found the execution of people with intellectual disabilities unconstitutional. Lawyers for Texas death row prisoner Robert L. Roberson III have filed a petition asking the United States Supreme Court to review whether Seth Kretzer and James W. Volberding - the same appointed lawyers who were accused of abandoning Raphael Holiday, whom Texas executed in November - had a conflict of interest that interfered with Mr. Roberson's right to an independent legal advocate in his federal habeas corpus proceedings challenging his conviction and death sentence. In his petition, Roberson argues that his trial lawyer failed to investigate and present important mitigating evidence in the penalty phase of his case and that Kretzer and Volberding have a conflict of interest that prevented them from properly litigating that claim. Volberding represented Roberson in his state post-conviction appeals and failed to present any claim or evidence relating to counsel's penalty-phase investigative failures. He was then appointed to represent Roberson in federal court, but his prior failure to have challenged trial counsel's penalty-phase performance forfeited that claim unless Roberson could show that Volberding had unreasonably failed to raise the claim in state court. Kretzer was appointed as "supplemental counsel" to review Volberding's performance and failed to challenge Volberding's conduct. However, unkown to Roberson, Kretzer and Volbering had a close professional association, having been jointly appointed as paid co-counsel in a number of capital habeas cases. When Roberson learned of their association, he asked for new "supplemental counsel," which Kretzer and Volberding opposed. Charles Herring, Jr., an ethics expert and author of a treatise on Texas legal ethics and malpractice, and Lawrence J. Fox, former chairman of the ABA Standing Committee on Ethics and Professional Responsibility, say in affidavits supporting Roberson's petition that Volberding and Kretzer have conflicts of interest that should prevent them from representing Roberson. The Court is expected to decide in early December whether to hear Roberson's case. Kretzer and Volberding have written to the Court requesting that it dismiss the petition and permit them to file their own petition raising other issues. 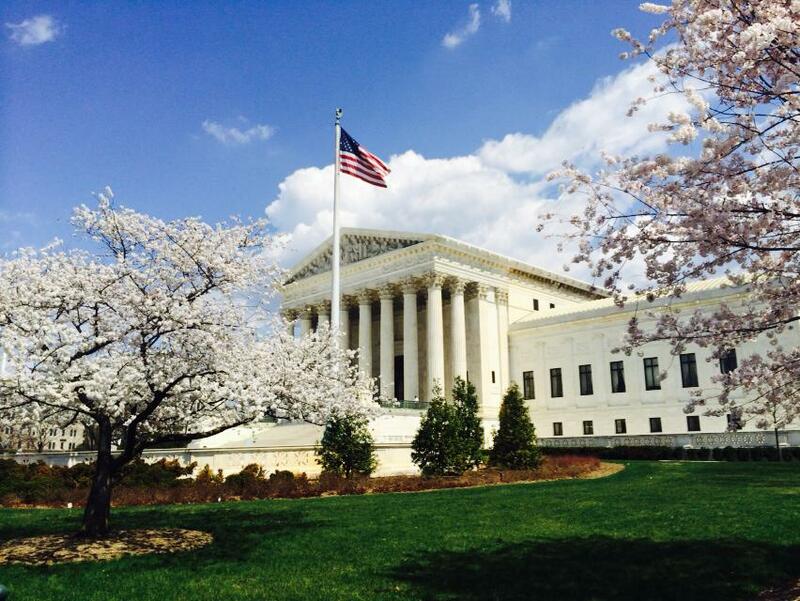 The U.S. Supreme Court heard oral argument in Foster v. Chatman on November 2. Timothy Foster, an intellectually limited black teenager charged with killing an elderly white woman, was convicted and sentenced to death in 1987 by an all-white jury after Georgia prosecutors struck every black member of the jury pool. Foster argued that prosecutors impermissibly exercised their strikes on the basis of race, in violation of the Court's 1986 decision in Batson v. Kentucky, to keep African Americans off his jury. Press reports described the Court as having "signaled support" for Foster during the course of the argument, with at least six justices indicating that black jurors had been "improperly singled out and kept off the jury." Justice Elena Kagan called the case as clear a violation of the Court's prohibition against racially discriminatory jury selection "as a court is ever going to see." The prosecution's notes of jury selection, obtained through an open records request nearly 20 years after Foster's trial, showed that prosecutors had highlighted in green the names of every black juror, included all 5 black jurors on the top of a list of 6 "definite no's," and ranked black jurors against one another "in case it comes down to having to pick one of the black jurors." In an op-ed in the New York Times, former deputy U.S. Attorney General Larry D. Thompson said prosecutors "routinely ignore" Batson and exclude black jurors for any number of ostensibly "race neutral" reasons. This is problematic, he says, "because interracial juries make fewer factual errors, deliberate longer and consider a wider variety of perspectives than all-white juries." Studies in nine southern death penalty states have documented "rampant" race discimination in jury selection, Thompson writes. However, "Mr. Foster’s case offers a rare instance of extraordinary and well-documented misconduct." Thompson concludes that "A judicial system that allows for obviously discriminatory jury selection is intolerable. If the court cannot establish discrimination in this case, then the lofty language of Batson rings hollow." On October 1, Virginia executed Alfredo Prieto (pictured) before the U.S. Supreme Court had decided whether to grant a stay on his challenge to Virginia's use of an execution drug obtained from Texas Department of Criminal Justice. Robert Lee, Prieto's attorney, said, "The Justices of the Supreme Court of the United States were considering Mr. Prieto’s request for a stay of execution but the Virginia Department of Corrections went ahead with the execution without waiting for a decision from the Justices." Earlier in the day, U.S. District Court Judge Henry Hudson held a hearing on a challenge to Virginia's lethal injection procedure. Virginia used compounded pentobarbital obtained from Texas, without any inquiry into the manufacture, purity, or storage of the drug. Prieto's lawyers raised questions about the safety and efficacy of the drug. Hudson denied the appeal and lifted a preliminary injunction that had put the execution on hold. The U.S. Court of Appeals for the 4th Circuit denied Prieto's appeal of this issue. Prieto's lawyers then filed a petition for review with the U.S. Supreme Court, but Virginia carried out the execution before the Court could issue a decision. The last time a state executed an inmate with appeals still pending was January 29, 2014, when Missouri executed Herbert Smulls. ANALYSIS: Do Recent Connecticut and U.S. Supreme Court Decisions Portend Downfall of Capital Punishment? In an op-ed for The New York Times, Pulitzer Prize winning legal commentator Linda Greenhouse analyzes the significance of and interplay between the recent Connecticut Supreme Court decision striking down the state's death penalty and Justice Stephen Breyer's dissent in the U.S. Supreme Court case Glossip v. Gross. "[T]he Connecticut Supreme Court not only produced an important decision for its own jurisdiction; but it addressed the United States Supreme Court frankly and directly," Greenhouse says. "The decision engages the Supreme Court at a crucial moment of mounting unease, within the court and outside it, with the death penalty’s trajectory over the nearly four decades since the court permitted states to resume executions." As posed by the Connecticut court, the question is whether the broad discretion afforded to prosecutors and juries over whether to seek or impose the death penalty "inevitably allows in through the back door the same sorts of caprice and freakishness that the court sought to exclude" when it held U.S. death penalty statutes unconstitutional in 1972, "or, worse, whether individualized sentencing necessarily opens the door to racial and ethnic discrimination in capital sentencing." 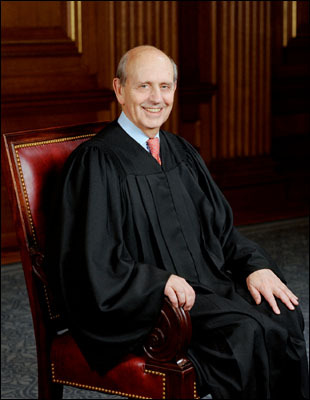 Justice Breyer's dissent similarly observed, “In this world, or at least in this nation, we can have a death penalty that at least arguably serves legitimate penological purposes or we can have a procedural system that at least arguably seeks reliability and fairness in the death penalty’s application. We cannot have both.” Greenhouse concludes, "[F]rom two courts, the highest in the land and the highest court of one of the smallest states, a fruitful conversation emerged this summer that will inevitably spread, gain momentum and, in the foreseeable if not immediate future, lead the Supreme Court to take the step that I think a majority of today’s justices know is the right one." 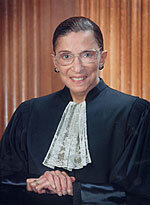 In an interview at Duke Law School, Justice Ruth Bader Ginsburg reflected on the past term at the U.S. Supreme Court. She discussed several landmark cases from the past year, including Glossip v. Gross, in which she joined Justice Stephen Breyer in a dissent that questioned the constitutionality of the death penalty. Ginsburg said she had waited to take such a stance on the death penalty because past justices, "took themselves out of the running," when the did so, leaving, "no room for them to be persuasive with the other justices." She reiterated many of the key points from the dissent, saying, "I think that [Breyer] pointed to evidence that has grown in quantity and in quality. He started out by pointing out that there were a hundred people who had been totally exonerated of the capital crime with which they were charged ... so one thing is the mistakes that are possible in this system. The other is the quality of representation. Another is ... yes there was racial disparity but even more geographical disparity. Most states in the union where the death penalty is theoretically on the books don’t have executions." She also noted the growing isolation of the death penalty. "[L]ast year, I think 43 of the states of the United States had no executions, only seven did, and the executions that took place tended to be concentrated in certain counties in certain states. So the idea that luck of the draw, if you happened to commit a crime in one county in Louisiana, the chances that you would get the death penalty are very high. On the other hand, if you commit the same deed in Minnesota, the chances that you would get the death penalty are almost nil. So that was another one of the considerations that had become clear as the years went on." In a dissenting opinion in Glossip v. Gross, Justice Stephen Breyer (pictured), joined by Justice Ruth Bader Ginsburg, provided a sweeping analysis of why he believes the death penalty in the United States may be unconstitutional and called for a "full briefing" on "whether the death penalty violates the Constitution." 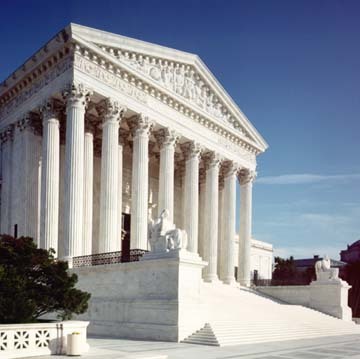 Justice Breyer wrote that "Nearly 40 years ago, this Court upheld the death penalty under statutes that, in the Court’s view, contained safeguards sufficient to ensure that the penalty would be applied reliably and not arbitrarily. . . . The circumstances and the evidence of the death penalty’s application have changed radically since then." Justice Breyer said "those changes, taken together with my own 20 years of experience on this Court, . . . lead me to believe that the death penalty, in and of itself, now likely constitutes a legally prohibited 'cruel and unusual punishmen[t]. '” Citing DPIC's resources for many of the historical facts underlying his opinion, Justice Breyer catalogued what he described as "three fundamental constitutional defects" in the administration of the death penalty today that may make it cruel and unusual punishment.